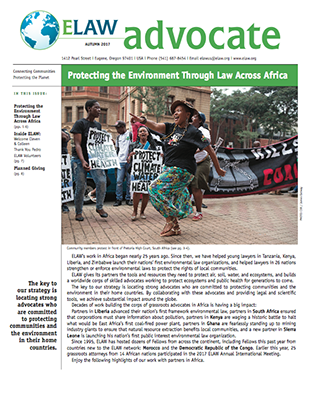 Throughout 2017, grassroots advocates around the world called on ELAW for the legal and scientific tools and expertise they needed to protect their communities and ecosystems. 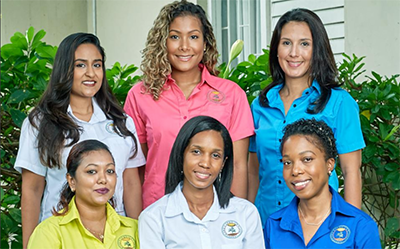 After decades at the helm of the Jamaica Environment Trust (JET), Diana McCaulay has put a solid team in place and is passing the torch to the next generation. 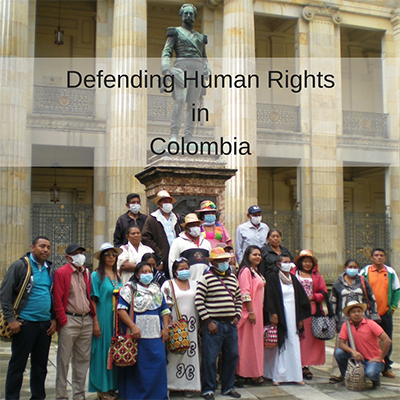 Staff scientist Meche Lu collaborated with ELAW partners at the José Alvear Restrepo Lawyers' Collective Corporation (CCAJAR) to defend the human rights of local communities suffering the impacts of Latin America's largest open pit coal mine. Support ELAW this Giving Tuesday! 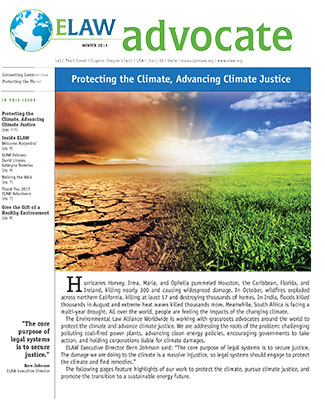 In honor of #GivingTuesday, I hope you will support ELAW's work to secure climate justice and defend human rights around the world. I'm thrilled to report that organizations are recognizing ELAW for our good work! 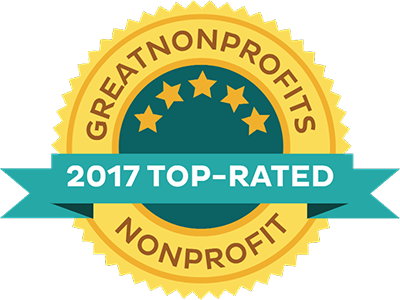 Recently, ELAW was named a 2017 Top-Rated Nonprofit by GreatNonprofits! 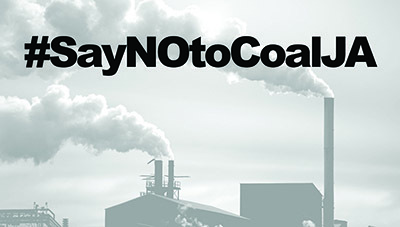 In Jamaica, a proposed 1000MW coal-fired power plant was canceled. 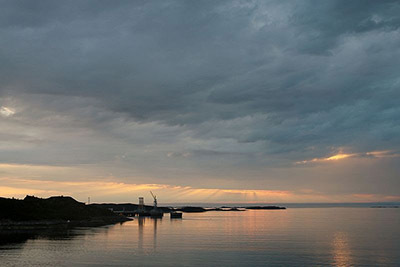 It would have been the first coal-fired power plant in Jamaica and would have locked Jamaica into decades of burning coal, polluting the air and water, and damaging the climate. Greenpeace Nordic Association and Natur og Ungdom (Nature & Youth) are in Distrcit Court in Oslo, Norway, this week asking the court to cancel plans to explore for oil in the Arctic. 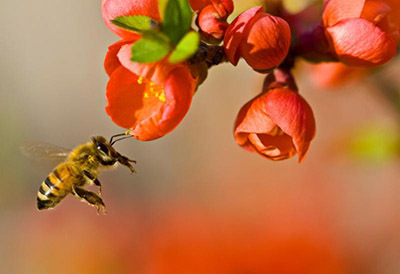 Join ELAW Fellow Kateryna Norenko and ELAW Staff Scientist Dr. Mark Chernaik to learn about communities in Ukraine fighting pesticide abuses and progress being made around the world protecting ecosystems from pesticides. 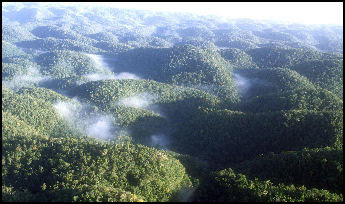 The U.S. office of the Environmental Law Alliance Worldwide (ELAW) has collborated with partners at the Jamaica Environment Trust (JET) since 2006 to secure lasting protection for Cockpit Country. 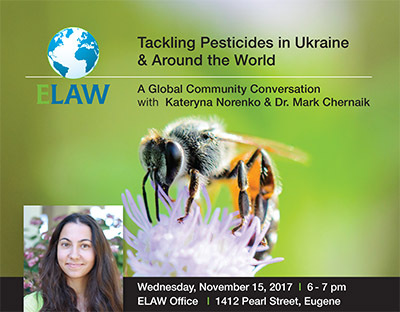 Visiting ELAW Fellow Kateryna Norenko will speak about communities in Ukraine fighting pesticide abuses. 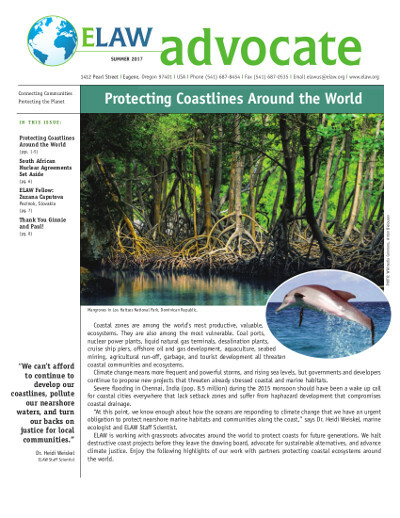 Kateryna is a staff scientist at the Kyiv office of Environment People Law. 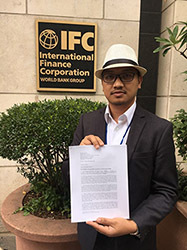 Yesterday, ELAW partners at the Philippine Movement for Climate Justice (PMCJ) submitted a complaint against the International Finance Corporation (IFC) for fueling climate change by investing in a Philippine bank that finances the nation's coal industry. 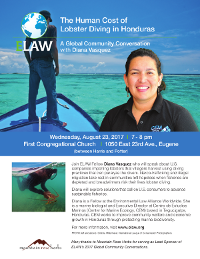 Meet ELAW Fellows from Ukraine & Mexico on Tuesday! 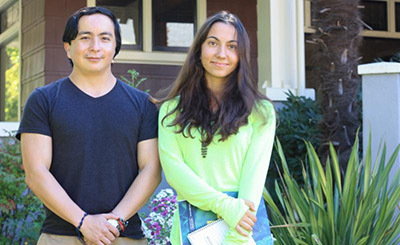 We are pleased to introduce our new ELAW Fellows, Kateryna Norenko from Ukraine (on right) and David Linares from Mexico. Meet Kateryna and David on Tuesday, October 3 from 5-7 p.m. at the Ninkasi Tasting Room. $1 of each pint sold will benefit ELAW's Fellows Program! 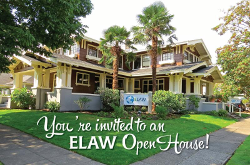 Stop by ELAW during the Pearl Street Block Party for an Open House on Thursday, September 21, 2017 from 5:00-7:00pm. International Law Supports Youth Plaintiffs Case Continuing Trump Administration's Petition would have Catastrophic Implications say Groups. 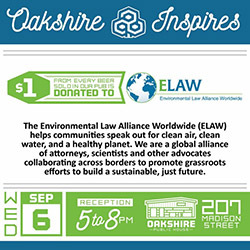 Join ELAW Tomorrow, 9/6, at Oakshire Brewing. $1 from every beer sold in our pub is donated to ELAW! 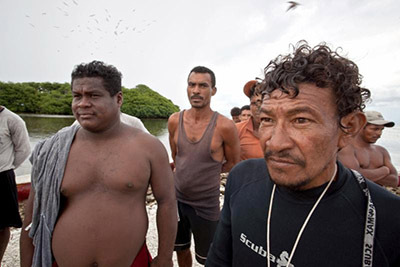 If you enjoy eating spiny lobster or conch, you may have a role in a tragic situation playing out in remote Miskito villages on the Caribbean coast of Honduras. Here, poorly equipped scuba divers and children, working for industrial fishing operations, venture out in small boats and dive for lobster and conch. 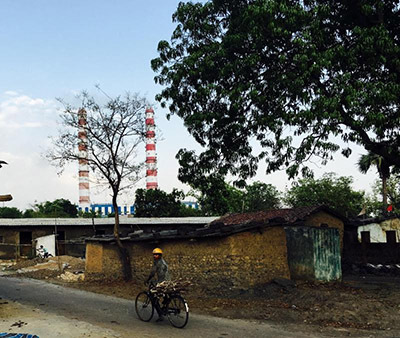 The Times of India quotes ELAW Staff Scientist Dr. Mark Chernaik speaking out about pollution in Chhattisgarh, a heavily forested state in central India known for its temples and waterfalls. Panama is experiencing the social and environmental impacts of open-pit mining, and ELAW partners at Centro de Incidencia Ambiental (CIAM) are working hard to ensure that open-pit mining is discontinued and current impacts of ongoing projects are addressed. 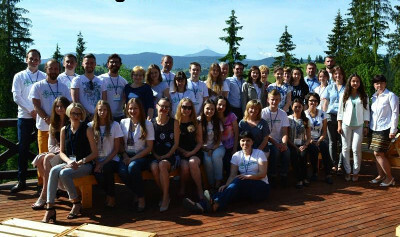 Every year, ELAW partners at Environment People Law (EPL) in Ukraine travel to the Carpathian Mountains to conduct a summer school to help promising young advocates hone skills to protect communities and the environment. 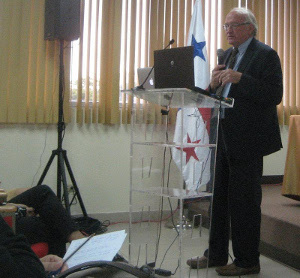 This year's summer school focused on protecting the climate. 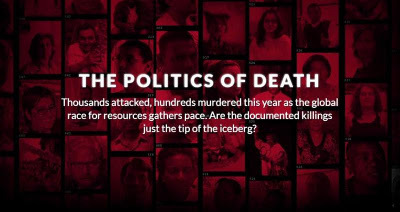 Last year was the deadliest year on record for human rights defenders, with 281 reported murders (Front Line Defenders). Michel Forst, the UN Rapporteur on the situation of human rights defenders, denounces these "deliberate attacks to eliminate those who are trying to protect their land and their traditions." We are pleased to introduce our new ELAW Fellow, Diana Vasquez from Tegucigalpa, Honduras. Diana is a marine biologist and Executive Director at Centro de Estudios Marinos (Center for Marine Ecology, CEM). 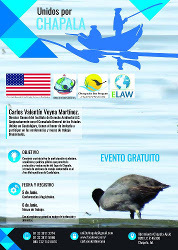 Lake Chapala is under siege from polluting industries, agricultural run-off, and over-appropriation of water for industrial use -- shortchanging residents and visitors. 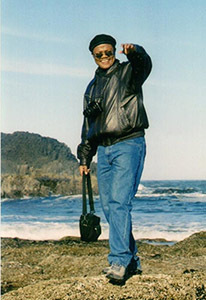 IDEA has worked tirelessly, for decades, to make community voices heard in efforts to protect the watershed. 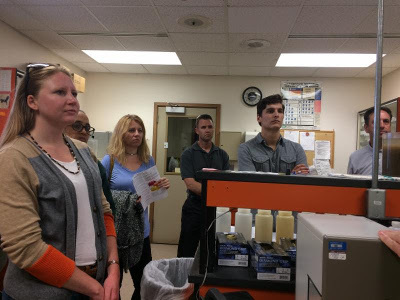 toured the Eugene-Springfield Water Pollution Control Facility, which treats wastewater from more than 200,000 residents in the Eugene-Springfield metropolitan area.